6 Who is at Risk of Developing Bruxism? In this post of Homeo Expert, we shall share with you the best Homeopathic Remedies for teeth grinding or Bruxism or top Homeopathic medicine for teeth grinding (Bruxism). 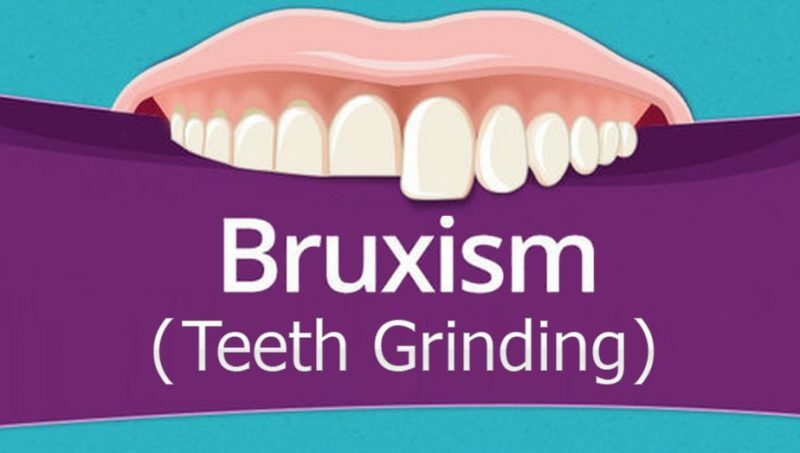 Bruxism is a condition in which a person grinds, gnashes or clench his teeth which is an oral habit. This condition is common in children but uncommon among the adults and it occurs at night because it is considered as sleep related movement like other sleeping disorders including sleep apnea (pausing in breathing) and snoring. At times, it is mild in nature and does not cause any harm but it occurs frequently it can be a result of different complications including earache, jaw pain, headache and dental damage etc. This condition may be a result of the combination of psychological, genetic and physical factors and it leads them to teeth grinding. There are two types of bruxism including Awake bruxism and sleep bruxism. In this type of bruxism, the patient unconsciously clenches his teeth when he is awake. It can occur due to different emotions including stress, anxiety, anger, frustration and tension. In this type of bruxism, the activity of grinding and clenching of teeth occur when the patient is asleep. Who is at Risk of Developing Bruxism? Majority of children lose the teeth grinding or bruxism habit after the second period. There are some other factors which can give rise to this condition including worm infestations, nutritional deficiencies and psychological factors such as stress and endocrine disorders. Homeopathy gives a permanent cure to bruxism and homeopathic remedy for teeth grinding have the ability to treat such cases in a gentle way. In homeopathy, there are natural homeopathic medicines for teeth grinding or bruxism which are devoid of side effects because they are made of natural substances. In addition, they are also safe for all age groups. A doctor should take a detailed case taking before selecting any homeopathic medicine for bruxism. Cina is one of the best homeopathic remedies for teeth grinding in children. In most of the cases, this condition occurs at night during the sleep. In addition, the child may also scream at night and at times, there is a symptom of foul breath and frothy saliva is also present. At times, the child is sensitive and becomes irritable and ill humored and may strike or bite others. Cina is also a helpful homeopathic medicine for bruxism if it occurs due to worm infestation. Chamomilla is the best homeopathic treatment for bruxism when the patient is prone to the fits of violent anger. Such patients are stubborn and quarrelsome in nature. In some cases, they are also sensitive to pain and noise. Chamomilla is also an excellent homeopathic treatment for teeth grinding in children during dentition. Santoninum is one of the top homeopathic remedies for teeth grinding which is a result of worm infestation. This medicine is helpful for grinding of teeth as well as clenching of teeth during sleep. The child remains restless during sleep and the symptoms of itchy nose and abdominal pain may accompany. Belladonna is another homeopathic medicine for teeth grinding or bruxism which occurs along with throbbing pain in the head. In Belladonna, the face of the patient turns red with headache. In addition, he may have mood swings and forgetfulness and face the mental confusion. Restlessness can also be seen. Arsenicum Album is another homeopathic remedy for bruxism in which the patient experiences anxiety and restlessness. The patient of this medicine remains restless and unable to rest in one place. Therefore, he keeps changing his places and also suffers from fears. The patient grinds his teeth when asleep and the teeth of such individuals are sensitive to pressure. Plantago is not only one of the effective homeopathic remedies for teeth grinding but also for toothache. It is highly recommended when the condition of bruxism occurs with toothache and sensitivity. the patient also feels soreness in the teeth with an increased saliva and grinding of teeth occurs at night. At times, the patient also feels the pain in the ears along with the grinding of teeth. This is deepthy. My kid is 3 year old and he used to groan (he makes some sound continuously during his sleep after some time of his sleep). If I give him milk at th at time in a bottle he will stop making that sound and again he starts after 30 min to one hour, it repeats for 2-3 times in one night but he is not awake that time. It also happens during his day time sleep And other than this he is healthy active no other observed disorders or.problems that I can see in him. What should I do for this in homeopathy. Please do reply. Check our shipping policy to start the treatment.